Love this app. Allows me to look at everything from any computer. This is really convenient but, I can’t get the right format so I just adjust when I print. Worth it especially for students. I cannot live my life without this app! I can watch as my friend and I, type our ideas and responses alongside, a line apart just as we hit the keys. Wonder if there is limit on the document size. Docs is so easy to use! The kids in our family use it in their schools so we can use it to share. I don’t know about others, but I love writing stories. I’ve been writing a certain story for 7 years. But google docs helps me put all of those stories into words. I’m glad google docs exists. It’s helped me write so much. So yes, google docs is simply amazing. If you forgot an assignment due in English, google docs on the iPhone helps you finish it, and then you just print in at school. Good app... could be better. As others have said here, this app is a good one, and an improvement over other similar ones that I have tried. However, the keyboard lag that mysteriously begins and stops without apparent cause, some of the formatting options. or rather the lack of those, some very strange behavior when removing or inserting words or characters in a sentence, all contribute to the removal of a star from this review. I imagine these are not insurmountable issues for a developer, but unless Google suddenly decides to care, I suspect this is the best we'll get for quite a while... or forever. I will continue to use it and appreciate it, but I will continue to hope for improvements too. 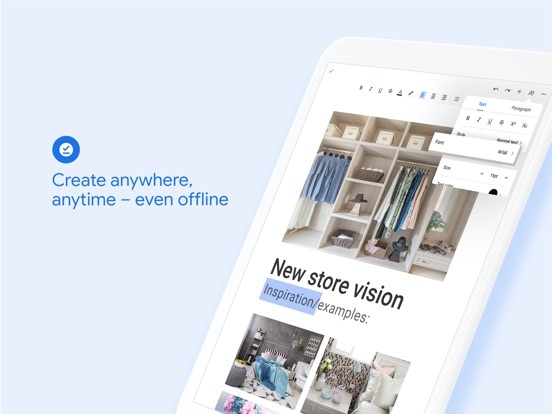 Google Docs lets you type EVERYTHING you want to. It is such a good app that you should rate it 5 star the first time you try it. Love it! I am technologically challenged, but Google Docs is so easy and simple. My life is much more organized because of the common lists// kids’ activities, groceries, things to do, etc...that my husband and I share. The best used it since college it’s the easiest and most convenient place to store and pick up and keep working o the go. Tremendous when working projects with others. At school use is easy with out logging/signing in! Easy to use. Well organized. Helps taking notes to run my business a breeze. Google docs is just so easy for you to type something on the go and you won’t forget something important. After many years, this app still does not work with voiceover. We cannot edit reliably. When we delete a character, we here, “selection deleted. “ We do not hear the character that we just deleted, this makes collaboration and editing in possible. Mini blind and visually impaired people depend on this app for school or work, very disappointing. Very helpful with school work. I have found his novels to be a joy to read. His plot lines are creative and thought-provoking. Both apps are great. Now that I know how to insert pictures into sheets I like it a lot more. I only wish docs had a good way to insert references. Besides that it’s hard to beat the accessibility of google drive. I love that I don’t need to lug my laptop around with me everywhere I go! When I collaborate with my Gen-Z peers, we always resort to the Google suite of apps. The phone app is good enough for a small screen. But the tablet version is just a stretched out version of the mobile app when it honestly could be so much more. Compared to Pages or Word, Docs is lacking. With pages, I can design a full size poster with cool little graphics built in to the app and a beautiful color scheme. Plus, every feature on the desktop version is present on the mobile version. I simply don’t understand why Google couldn’t do the same with this app. Instead, we get a dumb down version of the powerhouse that exist on the web. Also, the app is LAGGY compared to Pages and Word. I expect better from a software giant. Outstanding. Very easy to use. I’m writing a book with most of it on my iPad. I have a new iPad Pro. Apples’ Pages kept crashing and the last time when I lost two hours of work I changed to MS Word. I’m frustrated with Word as the formatting options are very limited. For example, you can’t center a title. Also, editing by touching a word with the finger isn’t accurate. So I tried Google Docs. Of the three word processing programs this is the worst. Sometimes when I select a line to center, it works, but most of the time, even though I’ve selected just the one line, it would center my complete document. Twenty minutes into it and the program crashed. The iPad has been around for some time and we have three of the largest companies in the world, but they can’t create a good word processing app for the it. Works pretty well, but frustrating sometimes when documents appear to be missing. Me parece una herramienta maravillosa, donde se puede hacer muchísimo. Realmente feliz con ella! Van excelentemente. Me gustaría la función de comparación de texto en paralelo o que incorporaran sus increíbles OCR. Sigan así! Best write tool I could ever dream of! I do have some concerns about the find and replace option. When using the app, the extension doesn’t properly search the document for keys words, phrases, or sentences. I love this app because I use this for all my projects and the main thing I love about it that it is comfortable to use on phone and computer. Since the latest Doc update, it is way easier to do work and works very smoothly. It has everything in it you can imagine of. THE MOST RECOMMENDED APP! I don’t get why do you show what is on what page on a computer, but not on a phone!!! It probably doesn’t show it on iPads either. One time I typed on my school computer, and it showed the pages. But when I typed on my sister’s phone, it didn’t show! It’s either I’m blind or Google Docs need some changes. I was about to download Google Docs on my iPad for my homework and all that, but I remembered that. I don’t know if I should download it anymore! One time I tried to do it on my home computer, and it just said “Nope!” Or something like that. You can use this app for almost anything! Writing an article or essay? Jotting notes down? What about creating a story? I have done all of those on here and is great for school assignments to. Very good to use and I will never get rid of it anytime soon! Fantastic for my needs!! It goes across the board on all my technical instruments. It is perfect for clients that I have to contact all over the world. I use all the google templates. I give ***** 5 stars. I love how it is very portable to carry around and access! Great to use! !and it’s free!!! First thing I don’t have to pay for. But the lay out when trying to edit things is kind of off. I love google docs. It allows me to write all my school papers without having to hand write them or use word. It is very organized and saves all of my docs, so if I accidentally delete something (which would not be a surprise) it’s already saved for me. Google docs has made my schoolwork so much easier. I really enjoy using it. I use this app for almost everything that I need to write. I do wish that you could do the same things on a tablet or phone that you can on a computer. On a mobile device, you can’t edit the preset heading or title styling. Still it’s very good!!!!! The things that I write on this app on my phone will not be on my google docs when I sign in to the computer. I’ve never had this problem until recently and it’s really starting to irritate me to the point where I just use good old fashioned Word Document because I don’t have the time to sit here and rewrite everything from my phone to the computer. And it’s too tedious to have to copy it paste it from my phone and send it through an email to myself just so I can view it on the computer. I wouldn’t say it’s the best on phone but still get the point around. Jumps to “comments” page and freezes there. No way to go “back” to original template - very frustrating! It comes in handy for me, I’m able to keep track of things so much better. Thanks! Needs an equation feature for IOS. Google Docs is an excellent text editing application. I use it to type various different documents. Creating worksheets, typing papers, and writing the occasional letter are incredibly easy to accomplish. The automatic save feature is wonderful, and I never have to worry about losing a document because of it being automatically uploaded to Google Drive. However, I believe Google Docs needs an equation feature for IOS. I am a Math teacher and currently working towards a Master’s in Mathematics. Recently, I purchased the 2018 iPad Pro to hopefully integrate more technology into the classroom, but I was appalled when I found out that Google docs doesn’t have an equation feature for their mobile app. This makes editing worksheets and working on research papers for analysis classes much more difficult. If Google Docs would add the equation feature, then it would be the perfect text editing app. I have lost so much work from this. it’s so annoying. Docs helps me with my home work and when I have an idea that I don’t wanna forget! I can’t really say anything negative about this app! It’s perfect the autocorrection already built in, the layout looks fantastic to me, gestures, and about everything else is great! Just uhh, don’t type with the sideways phone keyboard, or maybe it’s just me. Always insightful. I must continue reading, as I totally missed Sarai’s abandonment! I’m real new to this but as limited as I am, it’s really a joy to have it available right here on my phone. Every time I get a break, I can just pick my phone up and start to finish my projects. I actually love google docs however when I need to upload the documents the layout changes. Which can be very annoying when applying to jobs and it messes up my resume! Resumes need to be precise and formatted properly. So if it is changing without my knowledge I sometimes sent a horrible resume to a potential employer. Dependable. My phone notes always locked up or lost my info. This app stores well and is so easy to retrieve. To edit or see notes all on one page is very convenient. So far, so good... I love the app. Google Docs is very, very useful as a whole, providing services that allow seamless collaboration and that solve many past horrors of word-processors (like the classic “I didn’t save my doc and now it’s gone foreverrrrr!!”). As great as it is on desktop, I personally found the transfer to mobile devices a little, well, less great. It’s obviously difficult to find an intuitive way to lay out all the functions of Docs on desktop onto a smaller screen, but it’s honestly such a huge hassle navigating comments and suggestions, even when I’m on my iPad. It’s also kind of annoying that I can’t zoom out more on a doc—basically, once the width of the page fills the screen, I can no longer zoom out. This doesn’t sound like a huge deal, but it makes for a lot of tedious scrolling when an already long document has relatively large text. Additionally, there are these small annoying glitches that occasionally occur. For example, when I was editing a doc, I kept trying to delete a space, but it would always delete the space and the letter behind it. I tried over and over again to no avail... sigh.... It also seems to me that Docs can get kind of slow? I’m on a new device, so the hardware should be working fine, but there’s a huge lag when I’m trying to type in the app. Other than these few problems, everything else has been working fine and going smoothly. I’ve moved completely to Docs. Being a writer, I used to use Word, as many do; because it’s the industry standard. But I had more than one computer and phone die on me, taking my work with them. It’s devastating to see weeks and months, even years of your intellectual investment disappear with little hope of resurrection. So I have these dead computers I hold onto like they are in a cryogenic state and someday a cure will be found for them. Google Docs hasn’t cured my computers past, but they have given us all a vaccine that protects our work from certain death. By using this program, I am able to work anywhere, with my phone or laptop, somebody else’s computer, and with others on line if I want to collaborate or need editing. This freedom allows for amazing capabilities and dynamism for writers everywhere. The flow is smooth, it updates your and saves continuously, making obsolete the mantra “Remember to save your work often,” which is kinda hard to accept, honestly. The editing capabilities and tools are great, and it’s so initiative it feels like an Apple product. As a lifelong Apple devotee, I have been impressed over and over again, causing some strange irritation from past prejudice that keeps slipping away the more I use it. So if you’ve never heard of Docs and have been on the fence, I hope this settles your hesitation. It’s great. It really is. Like most people of Generation Z, the later years of my education (8th grade-present) have greatly benefited from using Google applications such as Docs, Sheets, and Slides. 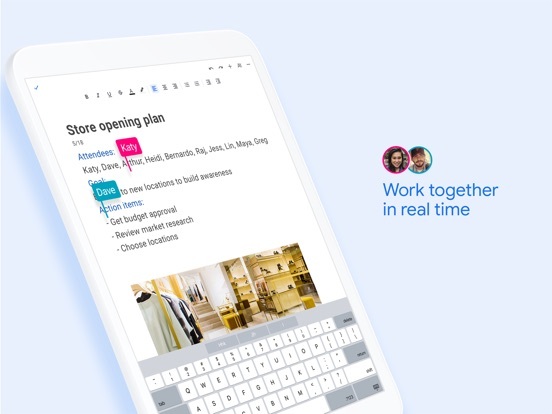 Google Docs’s amazing accessibility, collaboration tools, storage, and auto-save have always been what’s made it better than competing office tools. The app itself is great, and once you get the hand of using it on a hand held device, it makes working from almost anywhere possible. I’ve found myself using these Google applications for more than just essays and presentations now a days, as I begin to need work resumés and finance budgets. So really, Docs (and other Google applications) are great! Except, I’ve encountered an issue when using this Docs app. Now, this could be because of several reasons, however, I’ve found that after prolonged used, when typing, the keyboard begins to lag a bunch, making working on documents so frustrating. At first I thought that the keyboard could be lagging because my iPad might’ve over heated? But, the keyboard has lagged even when the iPad doesn’t feel warm. I’m not sure if internet connection might have something to do with it, but my Wifi is pretty strong, and I rarely encounter issues with it. That’s my only complaint, but other than that I really do love the app. Google’s Docs is fantastic! It is nice to have your document constantly backed up without hassle. I have grown to prefer using this app over Microsoft’s Word and Apple’s Pages. I use this app mostly on an iPad and keyboard. One thing that stand out for google docs over the other word processing apps is its ease to format using keyboard shortcuts. In iOS this is HUGE!!! The ability to use keyboard shortcuts drastically improves productivity when working in a touch based operating system! With that being said, I cannot do all my work on this app. I can type up most of my documents using this app, but I need to switch to a different device to do some finishing touches before publishing my documents. For example, it would be nice to change a documents margin’s while using this app. It also would be nice to insert equations using this app. As it stands, those features remain on the web based version of docs and not on the iOS version. That being said, google docs is my go to app for any word processing on an iOS device. 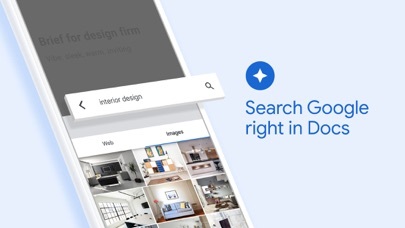 It is clear the team at google have put a lot of work into developing this app, perhaps even more than its competitors. I’ve used Google Docs for quite some time now. Though I only used the computer version, because I didn’t have a phone or know the Google Docs app existed. So, when I found out about this, I got it immediately! It was, and still is an amazing tool for my everyday life. The only issues I have with this, is that when your document contains too much information/pages, you could probably type six sentences before it finished putting down the first one.. Copying and pasting is quite difficult, and for some reason, it doesn’t want me to copy the first quotation marks of a sentence. I much prefer using the computer with Google Docs over the mobile version, because I can type much faster with the computer. That’s just my opinion, however! With the computer, Google Docs basically isn’t an option, due to Wi-Fi and other complications. So having it on my phone is amazing. Despite some minor flaws, such as holding down backspace and watching it delete excessive amounts of stuff... this is an excellent app! 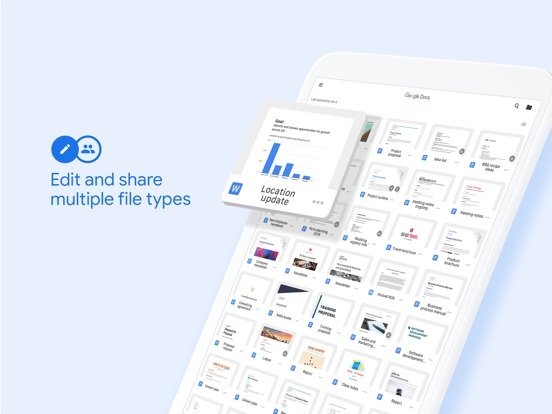 If you’re looking for a free, easy way to access your documents wherever you go, then I strongly believe this app is for you! I think if I used an external keyboard it might be better, but formatting and getting spreadsheets to function like excel is really not an option. I find that trying to select text to cut and paste or copy or for formatting font size or color is very frustrating. You have to grab and roll your finger just right or you select too much. Also, when backspacing, use caution. I couldn't stop it from deleting far more than i wanted. Make sure you select what you want to delete instead of relying on bkspc to stop when you want it to. I am happy I found a way to do my budget on my iPad since my laptop is tedious to start up just to work on my finances, but i do wish it wasn't so painful to toggle into edit mode. Google should talk to more end users, and I am also not a fan of the company being that I have a 35 yr Career in Technology and I am FEMALE...so I am sure they will wake up and come into the 21st century soon with their treatment of women, and get more women managing projects and holding positions of power. Their tolerance for misogyny is incredibly sickening. I wish someone from a more progressive company would invent a better alternative since I don't trust or like Google. I love the way docs works because it saves your data constantly and it doesn’t glitch on you and it provides you with so many ways to type notes for school, writing, and much more. I do have some suggestions to make the work flow for taking notes easier though. When it comes to fonts, there are specific ones I like to use for notes, but it becomes a pain to have to go back and switch it to the font you like instead of the default Ariel. The same goes for the headings and other text variations. They default to Ariel instead of the font that you were using before hand. Another suggestion I have is to make a keyboard short cut for the horizontal line. That would make dividing sections of writing way easier. The last suggestion I have is to also make a key board short cut for the list option styles. For example, I don’t like using the default dot style for the list. I like using the star one because it makes the list more interesting to look at. So instead of defaulting to the dot style it could default to the style of list that you were using before hand. For example, I would be using the star style of list and then I would section that list off with a horizontal line and then begin to start a new list that would then default to the star style. In general, maybe you guys could make google docs more customizable or at least have let it have the option to be more customizable with custom keyboard commands for different things. So, my life is very packed and full, and every time I want to write something, I usually use google docs. It makes life so much easier that I don’t have to use my laptop to write when I have this great mobile app. The only reason I gave it 4/5 stars is because there are more functions on the computer version than there are on the app. For example, on computers you can indent and such. However, I can’t indent on the app. Also, I love it, but I wish there would be an easier way to sort everything, like a folder or something. There probably already is something like this, or I just didn’t find it yet. Compared to Microsoft word, google docs is a worthy competitor. Microsoft has more functions, but google docs are free and Microsoft costs.. I don’t even know. I wish they would add a way to insert charts and text boxes onto a doc. However, compared to word, I like it better because you can collaborate/work with friends while on Microsoft word, it is much harder. I like google docs. I’ve been using google docs for 3 years now. Personally, I prefer the laptop as it is easier to type on, and type much more freely. But, on my laptop, accessing google docs, contains needing WiFi/service to type on / loading chrome or a web browser. By that, it’s not portable, or able to use on the go. I’ve used google docs on my iPad before, and I type pretty OK on my iPad, but not nearly as fast on my laptop. But you can use it on the go-to, but without WiFi. I’m pretty sure there isn’t the great ‘add-ons’ like the ones on computer, or laptop. Google docs, is a free, accessible great essential for any student of all ages. It’s great, it’s literally like word, but you don’t have to pay an expensive budget for it. Docs is just perfect for anyone, and it’s so great. Literally, they’re add on(s) for people who also need it. Highly recommend, all though it’s worldwide to schools, throughout everywhere. Google docs will always be a great essential. Highly recommend, just a few small complaints. I honestly prefer google docs over Microsoft Word, and I’ve used docs for many years now and I loved it. I find it a lot easier to get through essays and other journaling much faster with docs because of easy access to different settings. Only complaint (for both desktop and mobile) is a few glitches it has. I mainly use docs on my laptop, and I’ve noticed a lot of the time when I first open a new document, it’s very slow trying to load and will sometimes completely stop working after typing a few words. Another thing, it’s a little frustrating not being able to edit the margin sizes unless you search “margins” in the Help tab. It would be much more convenient if there was a Page Setup tab. Those are small and not super important complaints, but I’m all about convenience and easy organizations! Personally I use Google docs for just about everything and anything or use it for school things so if I need to write a paper I tend to use this more than Word, or if I am like doing pictures for like a slide or something like that and I want to see which ones I like more where I just want to save them on my computer I don’t tend to save them to my computer I tend to put them on a Google doc and just transfer them over to slide. I really do recommend Google docs for kids or adults who are in middle school high school and even college I know my parents they use Google docs when they were in college and they’re 40 something and they went to college and they were like 35 but they use Google Docs a lot too and yes Word has some features that Google doc doesn't however, Google doc has stencil type things for Google slides and it helps a lot. Do you want to type stuff into a Google Doc that other people can read later? This is fine. Do you want to edit documents other people have created? This will do it. Want to do that collaboratively while several of you are sitting around a table? Put away your iPad and go get a laptop. This app has significant deficiencies. Suggestions and comments are entirely divorced from their location in the document. Other features are similarly hobbled. The enormous list of “Recent” documents is useless. Creating a new document doesn’t even put it at the top of the list. That new document goes right at the root of your Drive, by the way, with no option to create it exactly where you want it. The only way to keep things organized is through a long series of taps to move your new document to the desired location. The modal Edit/View interface is enormously frustrating. I don’t really like using Google Docs on a traditional computer. Using it on an iPad is worse. For my needs, this app is 5 stars, although I haven't used it for documents that I want to edit or that are for others to assess. A year ago I bought an IPad mini, a keyboard case that fits my hands perfectly, and have now used gdocs on several trips. I use it for to do lists, packing lists, and for journaling along the way. I type faster and more clearly than I write and also flow more freely when I'm typing. On our current trip I experimented, opening up the journal while out of wi fi--and it worked! I wrote using my Iphone, then my Ipad, and when I was in wifi, they synched--wonderful! What I wish--that I could be confident that any documents I do want to share with folks who don't have gdocs would work as attachments that everyone could open. I'm not sure about that, so for those documents I still use Microsoft Word. Generally the Google Docs app works pretty well. I only use it for writing and making minor edits to class notes on my phone. But often I find when I’m typing that the screen will jump around. It also doesn’t play nice with Apple’s autocorrect at times. But the accessibility across devices is great. I can be editing or typing on my phone, and immediately switch to my computer and it updates in real time. This is also helpful for class projects, wherein I can be working with a group and we will all edit in real time and work on the same project, whether it’s an essay, brainstorming, or on the other google groups, the Slides app for PowerPoints. My biggest complaint over everything is just that each part of the google drive docket comes as a separate app. Docs is separate from Slides is separate from Spreadsheets is separate from plain ole Google Drive. Hey I love the app. I really do. It’s probably one of my most used apps on my phone. But I have a slight problem. I think the most recent update. But my Docs app closes too often/ soon. I tend to use the app and then switch to reply to a message or post something. It’s a pretty quick transaction. And then when I come back to docs I'm taking out onto the main screen. It’s honestly very annoying. The time it takes to load the page I was just on is longer too. And it happens EVERY TIME I leave. Is there a way to fix this? There was a time when it would stay exactly where I was after being inactive for hours! And now it leaves in a matter of seconds. Please change this. I’d like to be able to use other features on my phone while still being able to get back to my docs in a timely manner. Kid you not, I'm a 21 unit university student, working full time this semester. Having this app on my iPhone has saved my grades, as I don't have to carry my macbook around to finish up my papers and such. I just write a paragraph or two during my lunch hour, or during a bathroom break (don't kid yourself that you don't do it too lol), or whenever I have a few minutes to spare, and by the end of the day, I've already finished up my paper(s) while I was running around at work, doing errands, etc. I saw Thor in theaters with a friend of mine and decided to write whatever I could for an industrial health course I'm taking in that one sitting during the previews. I was able to get half of my paper done right before Thor began! When I got home, I only had to spend an extra 15 minutes on it, then I turned it in. Great use of time! I love this app! I enjoy having this app. I can edit my documents, change fonts, etc. I can do a page set up, so I know how it will print. I like that I can use on OS and IOS. It all backs up. It all syncs. What I DO NOT LIKE, is it duplicates itself. It is in Google Drive, iCloud Drive, and if you make a folder. I took notes on my Spanish lessons. I have different documents for different lessons. 1. It moves the document is you edit, open etc. Depending on what you pick. However, if you want all the docs to stay in same order after editing it, it will not. You can put by alphabet, but it still moves docs around. I would like the option of them staying in the place I put them and if I want to move...be able to drag. 2. If you create a doc, it automatically goes to their Drive app if you have that app. So, I am deleting. I do not want on multiple places. 3. If you make a file folder on GOOGLE DOCS, it does not move doc to file folder, it just duplicates it. 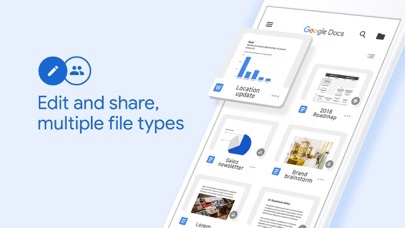 Again, I would like to be able to send to separate file folders and then delete from GOOGLE DOC, DRIVE, or wherever, and they stay in the file folder; the choice of keeping or deleting on any app and not loosing on the other. Or keep in one of other doc holders and delete from others. This is on the apps that file share. Nice to be able to send to another app or file, but should be able to delete from one without loosing from the other. The thing I like best about Google Docs is its use over time. I know a Google Engineer and he clued me in on this one. We are part of a larger, mostly volunteer organization. It’s been around for a while, and many of the documents from 20 years ago, done with other word processing programs, are not find-able, but when we do find them they are no longer readable with current software. Google docs will not have either of those problems—as long as Google goes on the Docs will be available and readable. The problem of incompatibility of software, not just between users but also over time, goes away. In so many other ways Google Docs is vastly improved over the early versions. And I really like that both Docs and Sheets are available on all devices. Google Docs has been the most useful app for me to be able to create multiple pages of Stories, Characters, Poems, and more! This is often the go to app for schools. It’s very simple to be able to share it to others like teachers or other students for projects, and that’s not the only limit since I use it when sharing with friends. I use this both in the computer and with my iPad. 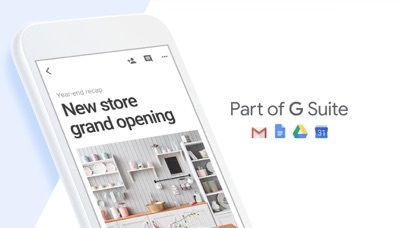 With google doc just logging in to your account is very quick and it holds all your data for you so you don’t need to worry which is a great relieve! I hope that this app stays on forever because I won’t be able to find another app like this, being free as well. If there were any recommendations I also like Google Slides although it’s a bit harder to use on the go. Sincerely, Google Doc User. While this app is a great substitute for the PC version of Docs, its not fully optimized for IOS or apps. Its nice if you’re quickly pulling up a document to type something up that’s last minute or doesn’t require a lot of time or presentation, but for people who use the app heavily, like on the iPad Pro, it’s frustrating. For one, the Office-Docs compatibility format doesn’t save, which means that in order to print you have to make a billion copies on order for it to save in an edited, print ready format, which even then doesn’t work. Another frustrating feature is that multiple documents can’t be opened and viewed at the same time, which should be possible for iPad Pro split screen viewing but unfortunately is not and leads to annoying back and forth flipping. Overall, good app if wanting to make last minute tweaks, but for heavy users, this app needs some work. I’m a hobby artist, so I recently decided to ditch my personal laptop in favor an an iPad and iPencil (I still have a work laptop). The Google Docs App, though, has made this transition incredibly difficult! First, Google blocks access to the browser version of Google Docs if you are using an iPad. Nevermind that the screen is the same size as my old MacBook. Nevermind that I have a Bluetooth keyboard and mouse. The Google Docs app is my ONLY option for accessing google docs from my iPad. And unfortunately, the App is not an adequate replacement. The toolbar is pared down, and much harder to navigate. It took me forever to figure out how to change the setting for link-sharing, so that anyone with the link could edit. And the “suggest changes” function is incredibly clunky. The changes all show up as “hidden suggestions” or “hidden comments”, and the person viewing them has to laboriously click every individual suggestion and “view suggestion.” It’s also very difficult to do anything other than “accept” or “reject” once you have found a suggestion. If the suggestion requires more nuanced editing, forget it! Overall, the app works in a bind, but it is not a very intuitive app and it is a very inferior product to the browser version! Please consider a redesign Google, or at the very least allowing the browser version to be accessed in-browser on an iPad! My personal computer is a Mac and I use it a LOT for work. At work our computers are all HP. For years I have spent countless hours trying to convert documents so that they are readable on each device, wasting precious time. I also use notes on my phone a lot and then always have to copy, paste to an email, send to my computer, paste to a word document on my computer, etc... thus a long process. With google docs, i can work on the same project from my phone, personal computer, work computer, tablet, heck anyone’s device because it is all saved and it is all right in front of me! I agree with another review that the option for folders would be nice, but I’m seriously just so happy to be able to work on all projects in the same place! The most awesome thing about these smart phones is the ability to collaborate at a distance on documents using things like the checklist feature. Unfortunately, Apple’s Note app only works on iPhones 😔. Google Docs is a wonderful alternative allowing colleagues to collaborate with any device. I would give the Google Docs app the fifth star if it had a real checklist bullet that I could check with my finger on a smart phone screen. (Of course, it probably has earned the fifth star already because 1) unlike Apple’s Note app, Google docs keep track of who checks off which items in a checklist, (albeit using the check icon ✅ in our group), and 2) because notes can be kept in a sub, of a sub, of a sub folder 📁 allowing for superior organization of notes for professional and academic work groups. CRASHES WITH NEW IOS 11 UPDATE! I use google docs all the time, so I’m really hoping you guys fix the bug that won’t allow us to open docs once we update to IOS 11. I updated on my IPad Pro can’t open docs, I didn’t update on my iPhone 6s yet, I can open docs fine like normal.. please fix this or I’m going to have to uninstall you. Most every other app has already fixed their issues with the new 11 update.. I waited a few days to see if google would update and so far, well your behind everyone else. Now I can’t use my IPad when I need to the most, but am inconvenienced and have to use my phone. If people have 2 devices I HIGHLY RECOMMEND ONLY UPDATING ONE AT FIRST ! Because some haven’t fixed bugs, and you won’t be able to use their app, not with this update. It really stinks for those that depend on services using one device. But hopefully a better product will be replacing google soon anyway. I always use this app as my go-to for schoolwork, but there are so many issues. For one, when I try to select a few certain words, it either selects the whole row and the one below it and it won’t let me unselect it, or it selects one letter and won’t move. And when I am making a list like: 1. (Words) 2. (Words) And so on, when I try to return down to start an example, it creates a 3 and then I return again and it disappears. I write my new thought and type 3. And then click the space bar and it doesn’t do anything. I spacebar the 3. up to where the rest are so it looks clean, and when it starts a new sentence behind the list, I can’t space it up like the rest. The spacebar does nothing. I have to create white text to move it up. And when I tab on those sentences trying to align them, it tabs over the sentence above the one I am on and when I click the delete to undo the tab, it moves up again and deletes the last letter on that section. It is just so frustrating. Please fix these. I’ve been using google docs a lot over my past school years because it’s such a reliable source to work on with your classmates on projects and classwork assigned to you by your teacher on google classroom. It works fine on the computer, but the app refuses to let me sign into google docs because of an apparent “device policy alert”. I don’t get this: i’ve updated my google docs app to the latest version, my iphone to the latest version and even tried restarting my phone and deleting and re-downloading the app. Nothing seems to work. It used to be so helpful to have this app on my phone so even if I'm miles away from the nearest computer, I could work on my schoolwork. But now this device policy alert removes my ability to work on it at all. I hope this is just a bug or glitch, or the app comes out with a new update deleting this blockage. Don’t get me wrong, Google Docs is pretty cool. But there are just a few errors that make it almost unuseable and having me search for an alternative. Being blind, I use voiceover to navigate and use my iPad and iPhone 6. And for the most part, google docs works great with said screen reader. It lets you know what formatting you have in place and navigating tables is a breeze. But that stupid key echo. Whenever I type, it says each and every character even though i set it to only repeat words. Not to mention the fact that whenever I delete a character, instead of saying the character in a low pitch (like it’s suppose to) it says ‘selection deleted. Which makes it very hard to keep track of how much I’ve deleted. Also it doesn’t speak spaces when I use the arrow keys on my keyboard to move the cursor but that’s not as big an issue as the ones mentioned above. One more thing, I like to type my documents and then import them to scrivener, but there doesn’t seem to be a simple way to do this. Instead of having the traditional share window show up there’s this weird menu about formats and stuff? I don’t even know. But maybe I don’t know how to do it maybe there is a way. Thanks for reading and I hope you take my suggestions into consideration. Been using for awhile now. Okay, so a few years back a dear friend showed my docs on my computer. We co-write (rp) together, and it gives a great place to do that since you can share with anyone else using docs. The grammar and spelling check is really nice, and the auto save feature is great! The reason the app gets four and not five stars is because the phone app itself has issues with larger docs(like 30 pages, I think) and won’t load well after that point. I understand why though, and am not actually bothered by it too much since I still have a computer, but I do have to notice which documents ARE that large, because it’ll sometimes it freezes up my phone(needing a restart). The phone app is also a bit more complicated to navigate than the computer version, but it is easy enough. Great for a basic college student. I am a college student and I am constantly between classes trying to pull out my tablet to work on my papers for different classes. I started using Docs in general because then I could bounce between my tablet at school and my desk top at home. But when I discovered this app it made life so much easier because I'm always on my phone too! I am able to write my papers then go to my tablet or desk top to ensure it is formatted right (I am just not tech savvy with this app) and then I can save a word form of the paper and turn it in online. All the google apps like Google slides, forms, etc are amazing to use and do what you need. I don't know how to do spread sheets or anything fancy but it gets me by with ease when it comes to basic papers! Both google sheets and google docs really seem to not work with iOS. I used to love being able to write on google docs but copy and paste and selecting on iPad feels almost impossible. It’s excruciatingly annoying. Using the arrow keys to highlight text doesn’t work properly and it’s jittery. Now Google Sheets feels like Google Docs. I type with my keyboard on any other app no problem but when I do it on google sheets it doesn’t recognize a handful of keystrokes like the letter “e,” “r,” and “n.” Trying to get a cell to open and respond is the worst. It doesn’t work like its web counterpart. it would be so simple if it did. You press enter to open the cell and you press up to go to the beginning of the cell while still being lock in the cell until you press enter again. When you do that on the Google Sheets iOS app cancels everything your doing and you go up to the next cell. If you press enter and start typing it deletes everything in the cell with what you started tying. Google Docs is ok, not great, not terrible. My main problem is docs with pictures in them. On a computer, the document is fine, no problems with the pictures, with the app, it is a huge problem. After finishing the doc with pictures on my Mac, I opened the same doc, expecting everything to be in the same place. Boy was I wrong. Pictures were scattered across the document in places where I did not put them at all. Pictures that I had set for the text to wrap around broke up the entire text. Pictures I had set next to each other were separated, rendering them moot. I understand that it is difficult to make every feature on the computer Google Docs available on the app, but for an iPad, at least the pictures should stay where I put them. Please fix if by some slim chance someone from Google is reading this. I really like Google Docs because of how convenient it is! Say you’re in a car with somebody and you forgot to type the ending to a school project in your account, well you can just use Google Docs and get it done! You don’t know HOW MANY TIMES THIS APP HAS COME IN HANDY. Especially because I only have my device right now to access my account. One thing though, I really wish that it wasn’t so confusing. I’ve had this app for a long time and I STILL can’t figure out if you can share a document or if you can’t! And if you CAN share a document, HOW? Where’s the share button?? HELP! But I find it kinda weird how everything kind of tends to be... EVERYWHERE. To me, I find it really hard to find some things I need at the moment. Like tools for changing the font, or font size. But other than that ONE MINOR PROBLEM, I LOVE THIS APP!!!!! I’ve had so many short stories, novellas, and full novels saved by Google Docs. When my computer crashed and had to be wiped (since got a new one, but the loss was felt! ), I was terrified I’d potentially lost over ten years of writing. I’d switched to Docs about a month prior and hadn’t realized it was all still there until I opened the app on my phone and saw everything was right there. It was a huge relief. My only issue with the mobile app is that it sometimes lags as I’m typing, and I can be three sentences ahead before it finally begins to stutter out the first. It’s so frustrating, especially when I see tons of typos and have to rewrite it all. I’d thought it was my old iPhone 4, but it’s the same with the iPhone 8 now too. My device is iPad Pro 10.2” with iOS 12. On large screens MS Word requires 365 subscription so I turned to Google Docs, which feels perfect on PC. But I was unable to switch between Chinese Shuangpin and English by pressing Ctrl-Space or Caps on my BT keyboard K480. It works when on-screen keyboard is shown, but for productivity I have to connect to external keyboard. I know Google maintains outstanding engineering practice so there must be a quick and clean fix, only that not enough users tell them about the problem. What’s more, formatting is not as convenient as that in Pages, which has a formatting bar on the bottom of edit interface. Also, the fonts support is so very limited. 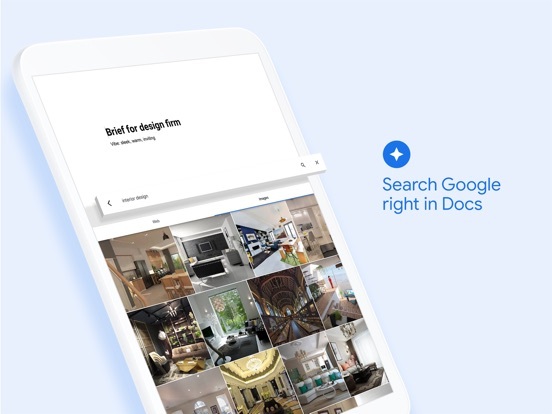 For a document app that has been free from the beginning, Google Docs does great work, but now that the Apple suite’s become free too, Google needs to keep up. First, I’ll talk about the things well done about this app. Docs is simple in design, but easy to use and access. I know I’m not alone in saying this is one of the best parts of this app, as I oftentimes find it very difficult to use technology. I don’t have a computer simply because it’s so difficult to download and access files and writing apps. But Docs is so simple, at least for iPhones and iPads — all I have to do is download the app, open it with a tap of my finger, and press the red plus on the bottom right to create a new document. And voila — I’m prepared to write the next major, bestselling novel. Now on to the issues. I have around 100 short writing pieces on another account — it used to be my main one. 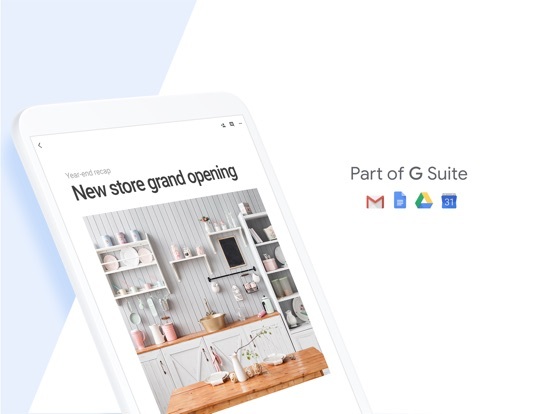 That “ex account” belongs to a G—suite that will soon be shutting down. The problem is, there’s no easy way to transfer files between accounts with iPads and iPhones. You have to create files, share them with a new account, duplicate them, or just copy-and-paste the contents. But with hundreds of documents, that’s an extreme issue. If Google improves methods to transfer files on mobile, I will eagerly change my rating to a 5 star. I love this app and have used it for years, but there’s some issues I’m worried about. Thank you for your time. One of my favorite things about google docs is the fact that it automatically saves your edits so you don’t have to remember to go back and do it all the time. It’s really nice and convenient to be able to attach my docs easily to emails when I need to. The only downside is that when I use it on my phone, the formatting gets a little wonky sometimes and when I touch a word or phrase to change it and start deleting letters, the formatting usually moves it off my screen so I have to stop and zoom out and try to find it again so I can see what I’m doing. The best way to use the app that I’ve found is to try to do most of your editing on a pc or laptop and just use the finished product when you’re on your phone. Not bad over all tho. Use This... Stories, Schoolwork, etc.! I write stories, and I aspire to be an author or a language arts teacher when I’m older. In school, I can’t write many fictional stories, mostly personal narratives, but I’m quite honestly running low on stories about myself and can’t help the fact that all of my stories turn even the slightest fictional. We used this in class for personal narratives, and once in fourth grade something for Father’s Day. I went home after the first day of using this and started writing out my fictional stories from notebooks. I spent hours and hours writing and writing. On google docs. See, even this is a little fictional, because I only spent one hour. Haha, sorry. But the next day, I did it again! And everyday since. Get this app! I still have some keyboard lag like others have complained about, but it seems slightly better so fingers crossed that it stays that way. However, I think there might be some issues with search. Whenever I try to search in a document whose first page is only an image (like a cover page), tapping on find and replace randomly turns on print outline. I don’t understand the reason for this, and in the print outline mode the search only scrolls to the first occurrence of the text. So if you want to find any other occurrence, you’re out of luck. Performance also takes a serious hit when the whole document gets reformatted. In the documents where search works correctly, it still doesn’t quite scroll the highlighted text into view. It’s just under the bottom “replace” bar. This means that you have to scroll a little lower to see if it’s the correct occurrence you were looking for...but as soon as you scroll, the input bars disappear. So if it’s the wrong location, you have to go search again, press the down button i + 1 times, and repeat. For some reason though the documents that randomly turn on print outline let you scroll without dismissing search. I would really enjoy a search that doesn’t reformat my document and also correctly scrolls the elements into view. Most of the apps or products that Google has created have been pretty lame, poorly executed or timed and they completely lack the ability to work with the people that use them - some call it customer service - making them just a big lumbering beast riding the wave of success that a search monopoly brought them. The exceptions are Gmail and in my opinion the GSuite of apps. 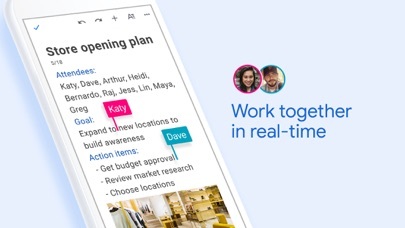 No other company has even come close to having collaborative functionality the way Google has done it. Revisioning, recovery, instantaneous changes and lo and behold I can see when someone is working on a doc at the same time as me. So 5 stars for Google Docs. Guess having all those priceless Stanford degrees sitting around will occasionally produce something awesome. I’ve been using Docs for almost 3 years and I’d definitely recommend it. I’ve used it for notes, stories, movie scripts, backup picture saves, and my resume. However, the thing that prevents it from getting a perfect 5/5 is the fact that it freezes sometimes when I stop typing, or when I use the side icon to move quickly through documents. I don’t know what it is, but it’ll just freeze and I end up having to exit the Doc and reentering it. This is minor though, and it usually only goes as far as that, and it still saves what I wrote before the freeze. I’d still like this to be fixed though so I don’t have to constantly do this; it does get annoying and even infuriating when I have to do it dozens of times over a few hours. 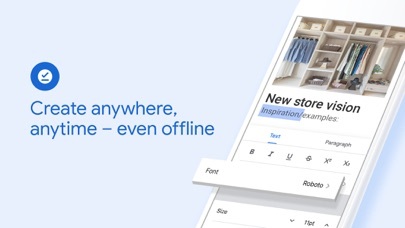 Almost every day I use Google Docs, because at my school, that is what they tell us to use all the time, but this app needs as many features as the Google docs on the desktop. I wish they would add the ability to add shapes, and Google Drawings, and the ability to customize the way your tool bar looks! I would also rate this 5 stars if they fixed the lagging problem! Whenever I have to put a graph or table in, and I try to make the table or graph bigger, it just lags, and freezes, and then I have to close the app and reopen it. It is really annoying when it is late at night and you want to get your assignment done, but the software is not letting you because it keeps lagging (that’s just me talking for myself there :)). Please fix that problem, and add a lot of new features! Microsoft has become an app vending machine that charges a subscription to use it’s products in editing format. I like Microsoft Word but not enough to pay for a monthly subscription to it’s IOS application. So, I decided to try out Google Docs app and boy was I pleasantly surprised. This application has most of the functionality of Microsoft’s Word and it is a top performing word processing application. I am glad I switch from Word and happy with the features and functionality available with Google Docs. And the good news is you can save documents in all types of formats, including Microsoft Word. I highly recommend Google Docs for those looking for a competent word processing app that is free and functional. As a student in middle school, I need essays done in at least 3 days to keep up with my agenda at school and home. Google Docs has saved me a lot of time and hassle. I can send my work teachers within seconds, edit other peoples work and have them edit mine at the SAME TIME, I don’t need to constantly save my work. When I used to use Word I was constantly worrying about my computer dying or crashing and my day or even week long work getting erased. With Google Docs I don’t need to worry about that because it saves my work as I type. When I delete some of my work and need it back I can easily go back and get it back. In one quick sentence, Google Docs is truly a life saver. It's great for writing anywhere! For professional writers who want to be able to update their document anywhere at anytime when inspiration strikes this is really good. Or if you get stuck waiting somewhere you can pull up your phone and start working on an assignment. The only things I wish they would improve is the touchy backspace feature (if you hold it down for a few seconds suddenly half a page is gone), and the fact that the chat feature is not available when working on a doc with someone else when using this app. But those are just kind of minor things. Overall very pleased. Have been using this for years and I continue to use it.